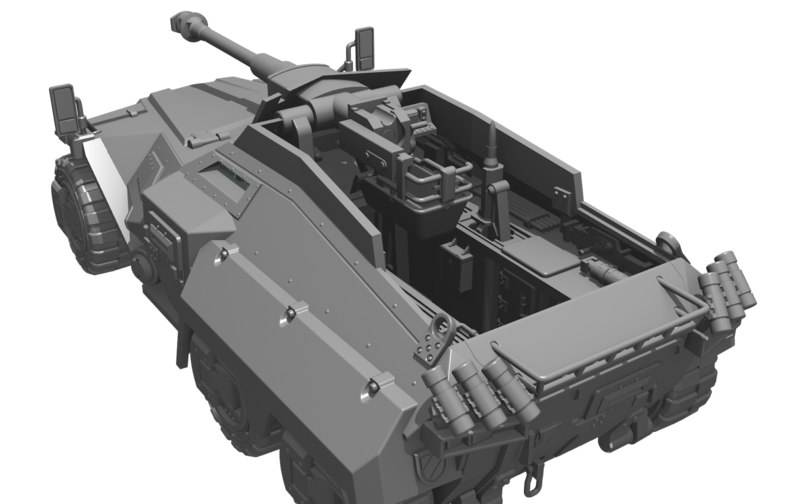 Eisenkern APC 'Keilerkopf' in plastic! 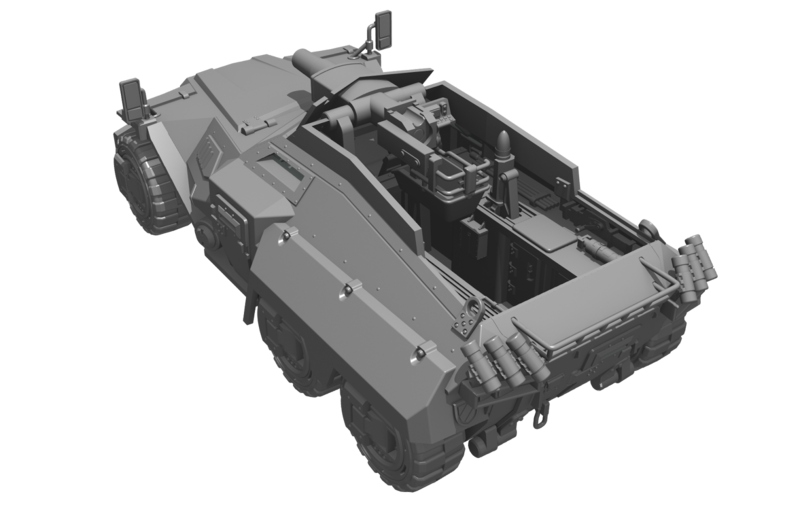 Here we have the Eisenkern APC variant Zeus and Loki. 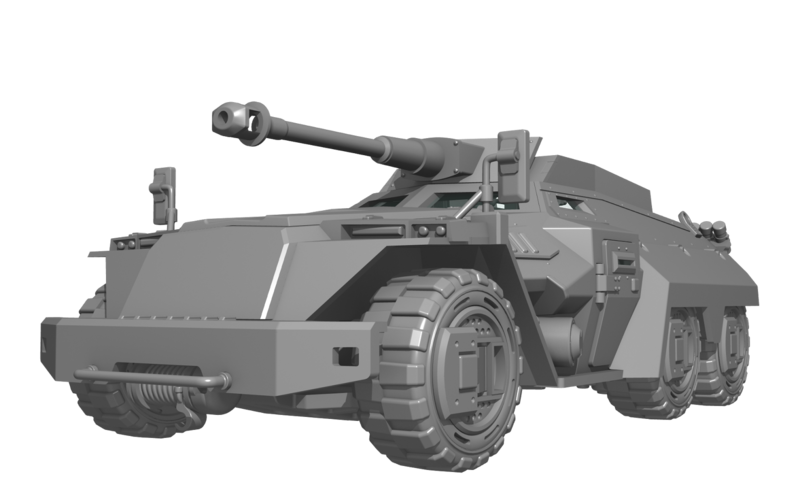 Zeus the god of thunder is a fitting name for the APC equipped with a large caliber siege gun. 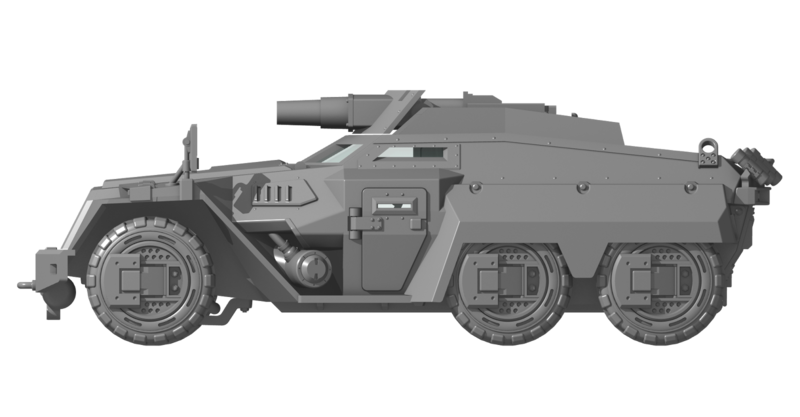 The second variant, named after Loki the god of mischief seems equally apropos. 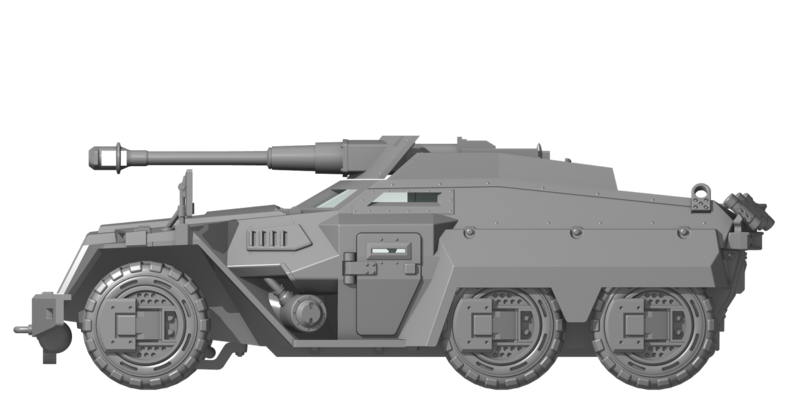 This kit was offered to the Kickstarter backers and I am pleases to say the Loki variant will be included in the Zeus APC kit. 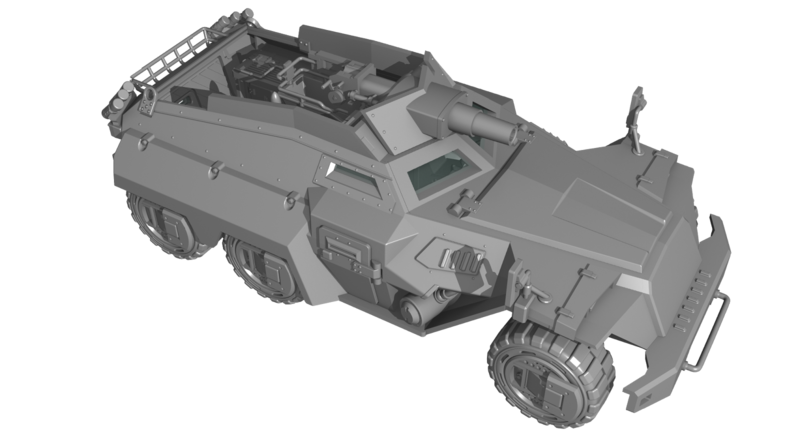 *The crew and spent shell casings were not included in these renders.